Food is a staple in everyday life. However, people have revolutionized the way we see this necessary daily fuel that it is no longer considered a negligible aspect of our everyday lives. Today, we no longer eat simply because we are hungry and we need to fill up or stave off our hunger. 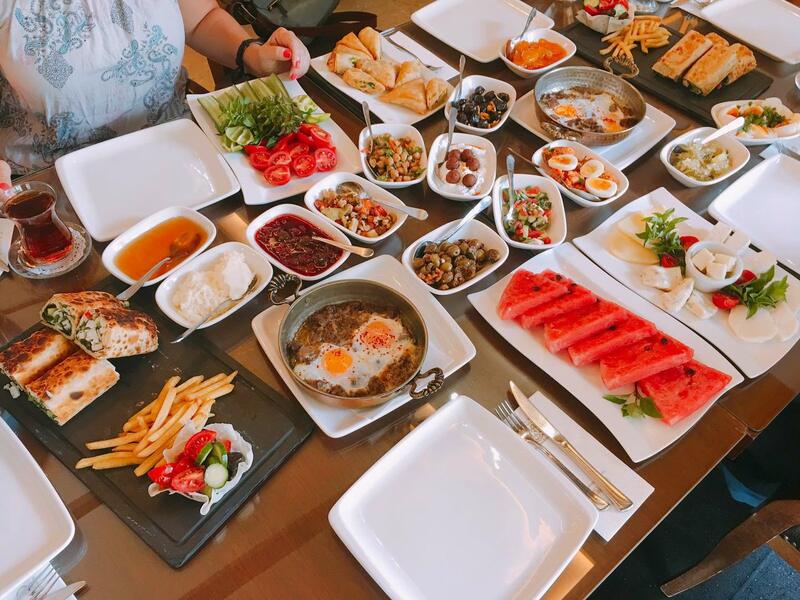 In today’s generation, food is celebrated insomuch that we savor every bite there is to a dish and travel just to sample a foreign country’s gastronomic offerings. Today, much of what a country has in store is to be discovered through eating their food and by exploring their culinary creations; you get to have a glimpse of their culture as well. This article has curated a list of some of the best food destinations in the world. However, this is largely subjected and to each their own. While some might find an epic food trip in Pampanga to be an epicurean delight on its own, others might want to know what else the world has to offer. While most people would scoff at the idea that the United States even made it to this list, you should not be so quick to dismiss it just because most of its popular food fares originate from other countries. It might have escaped your noticed, but most restaurants in the United States have drastically improved since then. American dishes such as clam chowder, Cobb salad, and key lime pie are some American food offerings you should never miss whenever you are visiting the land of the free. Arguably, Mexico has some of the best food offerings in the world. Apart from Mexican dishes bursting in flavor, they are usually easy to eat without the need for utensils. After all, you do not eat your nachos, quesadillas, tortillas, and enchiladas with a spoon and fork, do you? If you have a penchant for nutritional superfoods, you might be pleased to know that Mexican food offerings pack a punch when it comes to nutritional value. A single Mexican staple food would traditionally have avocado, lime, garlic, beans, and tomato in a single dish which is pretty much a burst of various flavors in your mouth. Food enthusiasts with a unique affinity for street foods solely should never miss out on embarking on a street food tour in Thailand. As street food forms an integral part of Thailand’s culture, it has since then become a tourist attraction. Undoubtedly, you can expect a symphony of flavors in just one dish—enough to satisfy all taste receptors of your palate. One dish alone comprises a myriad of ingredients peppered with a combination of herbs and spices. The ensuing food offering would then produce a complex of flavors that is quite hard to resist. Almighty Greece is primarily known for its exotic and picturesque locations—so much so that you would rarely hear people raving about the food as they are way too busy with the scenic locations. However, you can expect the food to be just as colorful and vibrant as the sceneries you can find, and they are perfect to a fault. More often than not, their dishes are drenched in generous amounts of glistening olive oil—a gift of the Grecian Gods if you may which makes the flavors in one dish even more intriguing and sumptuous. Spices and herbs are the two integral components of a traditional Indian dish insomuch that the meat can feel pretty much like an afterthought. However, their dishes are anything but that especially as Indian chefs are known for cooking traditional dishes to perfection. After all, they have a dedicated passion for the flavor of their food, so you can expect to sample only the best. There are no set standards as to how spices are applied, so it does not matter whether you use it in moderation or not—just that the food is good. Spices are not only for adding flavor to the food after all but adding a bit of zing and zest to savory and sweet dishes.